Need a quick and easy dinner that still packs a lot of flavor? 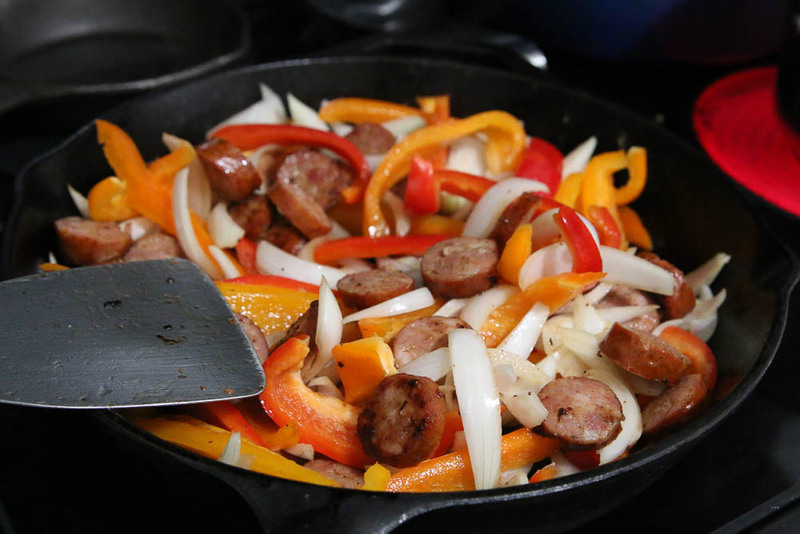 You’ll love this quick and easy sausage, peppers and onions skillet dinner recipe. 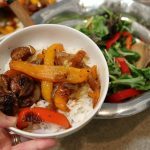 All the fresh produce, plus the spice of the sausage, mixed with caramelized onions, and served over rice make this a quick and easy dinner that will have you forgetting about convenience foods. Think sausage and peppers hoagie, but hold the bread. As a bread lover, I pretty much always think recipes can benefit from carbs. However the whole keto movement has had a bit of an effect of me. 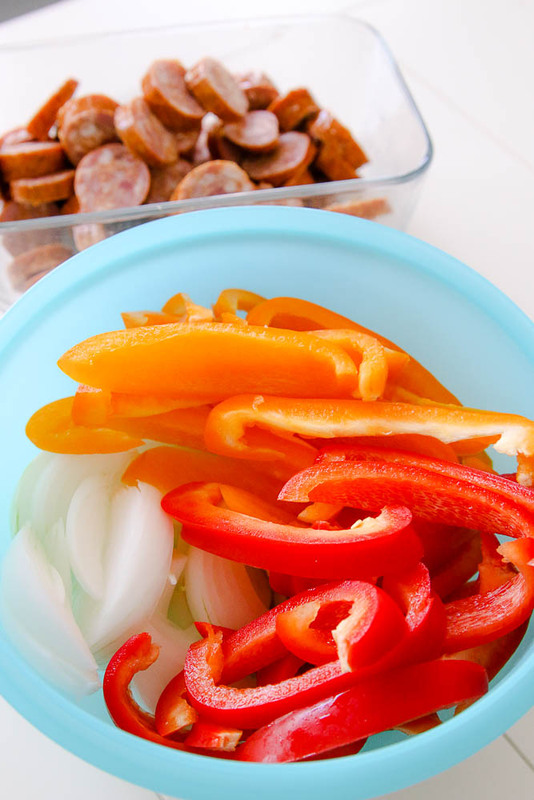 Plus, I love serving this sausage, peppers, and onions dish over rice, which I realize is not keto friendly at all. What can I say? I love myself some carbs. Plus, serving sausage, peppers, and onions over rice makes this meal feed many more people. Throw a salad in the mix too and you can feed a crowd. I’m not a big fan of quick and easy dinner recipes. Not because they are quick and easy, but because they rarely have the flavor profile that I crave at dinner. As a foodie, I love a meal that can really wow me. One that takes longer than 30 minutes to prepare. 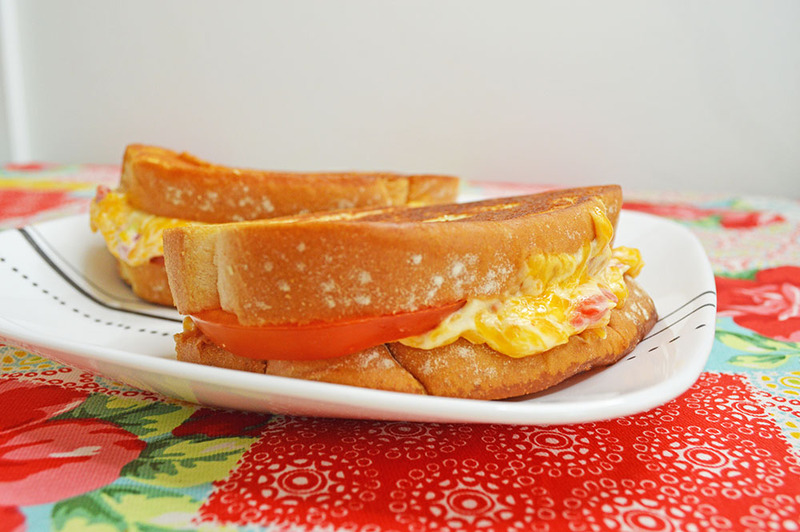 But as a busy mom and frugal person, I find that I most often end up making quick and easy meals. It’s also the type of post I tend to write the most because I know that you probably need quick and easy dinner recipes too. None of us have tons of free time to make dinners from scratch each night. Nor do we have the budget for steak every night. That’s why it’s so easy to fall into the trap of quick, cheap, and easy meals that leave you feeling a little hungry before bed. I’ve recently realized that I don’t dislike quick and easy meals as much as I dislike the type of food that is traditionally served as a quick and easy meal. When fresh produce is the star of the dish, I tend to love it more. Plus, I truly do enjoy the act of chopping up fresh produce! 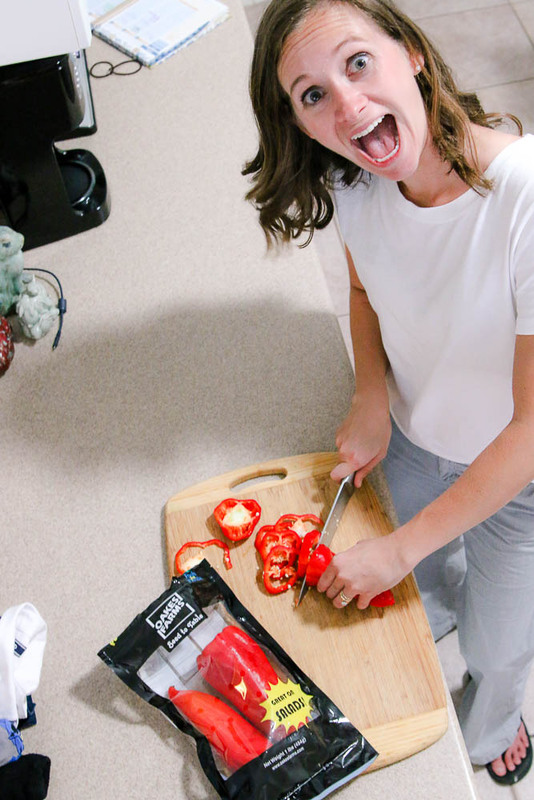 Tom captured this gem when I was cutting up peppers for the salad. I also love that fresh produce always tastes great to me. Especially Fresh from Florida produce. As a Floridian, I’m always happy to eat local produce. I search for the Fresh from Florida logo every time I shop. And I mean every single time! I can’t bring myself to buy produce that was shipped across the US, when we have such great tasting produce grown here in Florida. This meal is so easy, it barely deserves a recipe card. 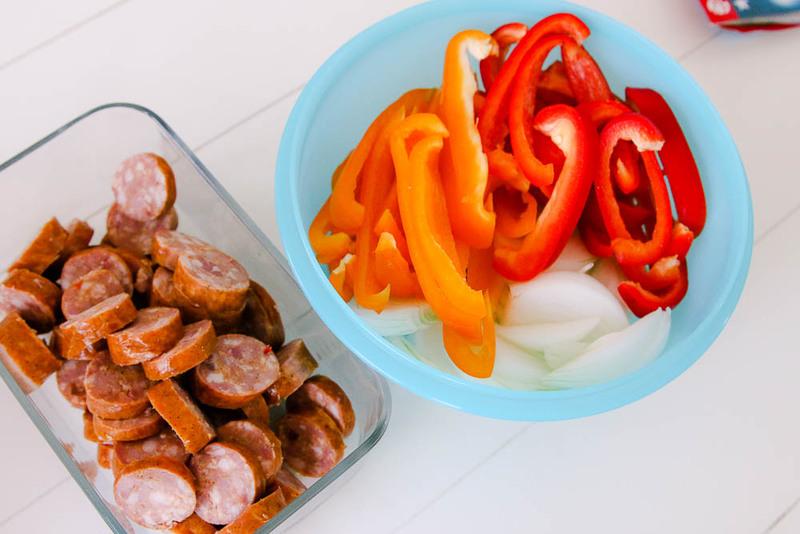 Chop up the sausage, peppers, and onions. I always do this in advance to make dinner prep a breeze. 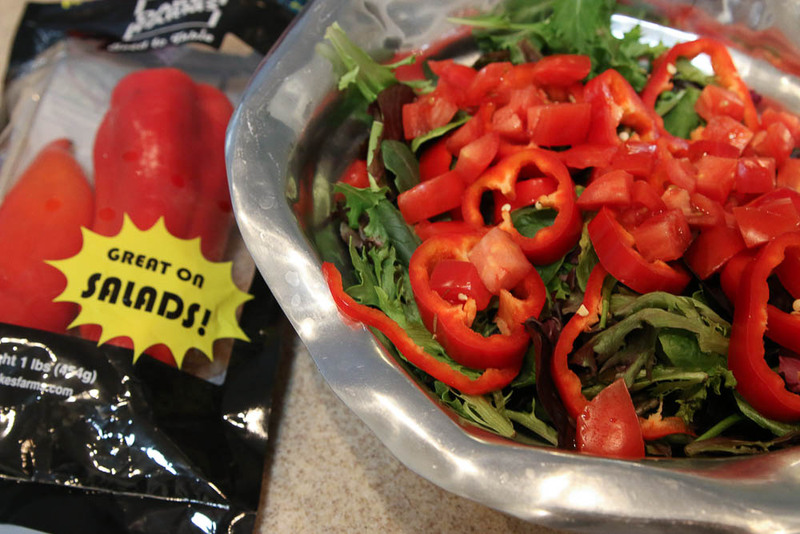 Of course, make sure you are using the Fresh from Florida peppers! I found some that were not only grown in Florida, but grown right down the road from my house. How cool is that? Make a delicious salad. 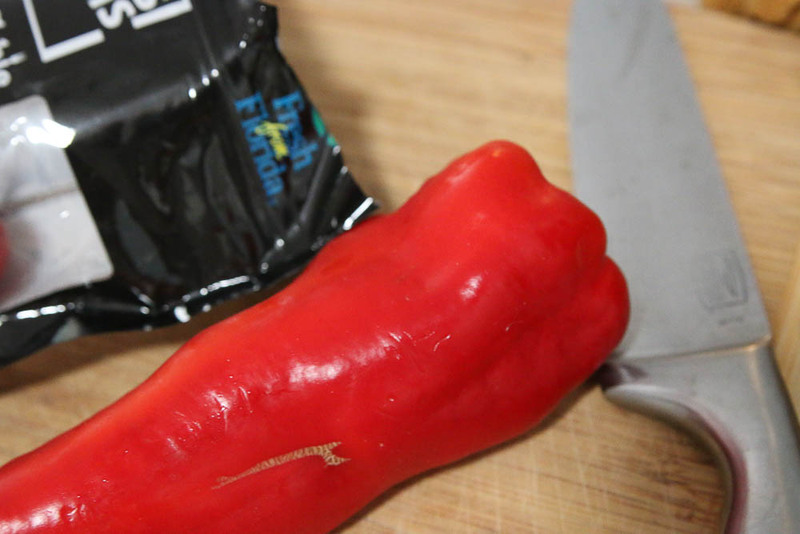 Serve some peppers on that too while you’re at it! Next, you want to cook the sausage first, then add the peppers and onions in once the sausage is cooked through. Cook until the peppers are soft and the onions are caramelized. 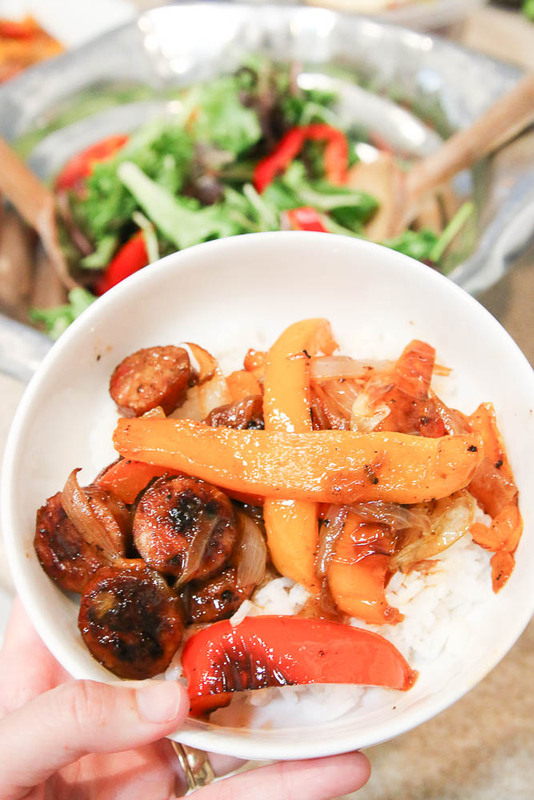 Easy weeknight dinner of sausage, peppers, and onions over rice all cooked in one skillet. Slice the sausage, peppers, and onions. Cook sausage over medium high heat until brown- about 10 minutes. Add peppers and onions and cook for 10 more minutes or until peppers and onions are soft. 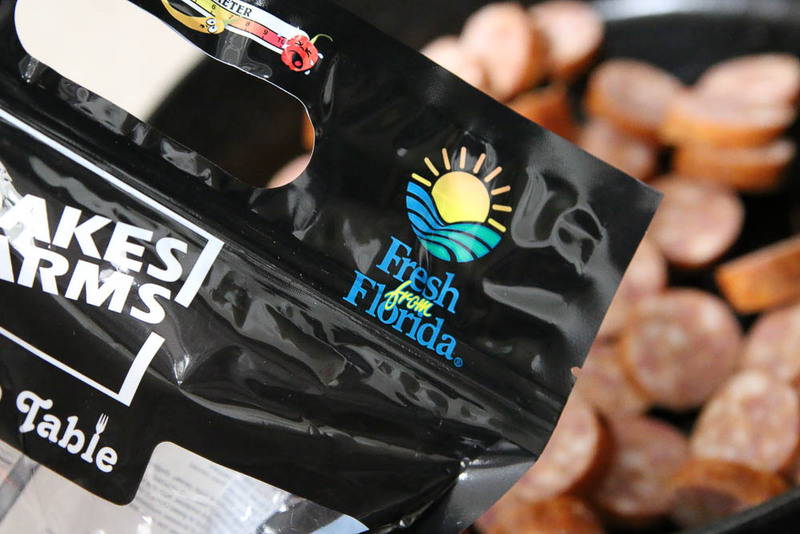 Right now you can find all sorts of Fresh from Florida produce in your grocery store. 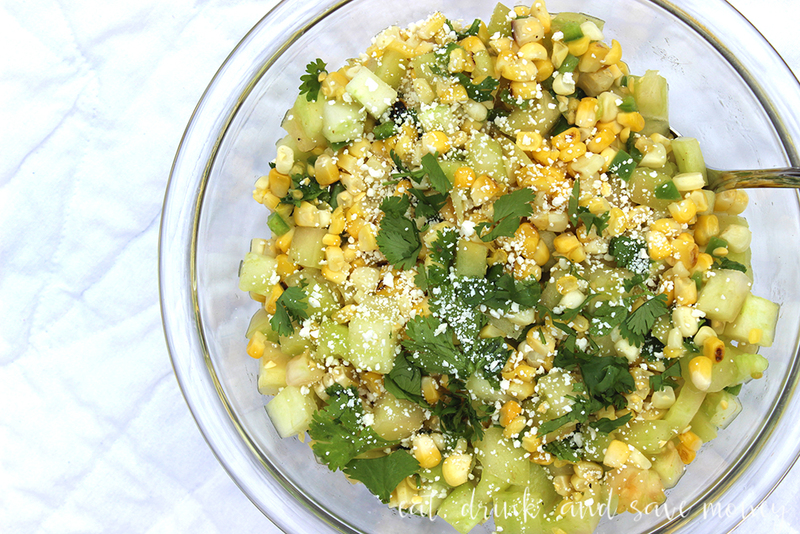 Pepper, squash and corn are at the peak of season right now, so look for those especially! Want more recipe ideas? 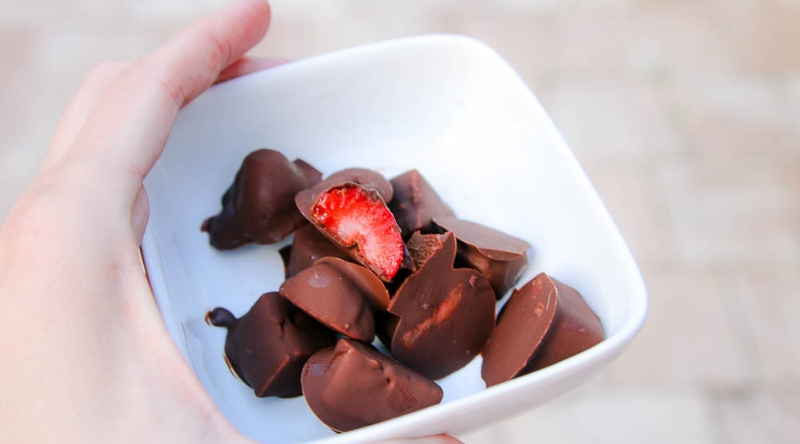 Head to the Fresh From Florida recipe page. Or you can check out some of the recipes I’ve developed with Fresh From Florida produce.